By the way, this biryani is my 35th post in this series.With this recipe,I am happily ending my Sunday Lunch Recipes Series .Next week I will make a detailed post on how to cook Basmati rice & jeera rice and update my old biryani recipes till this month end. 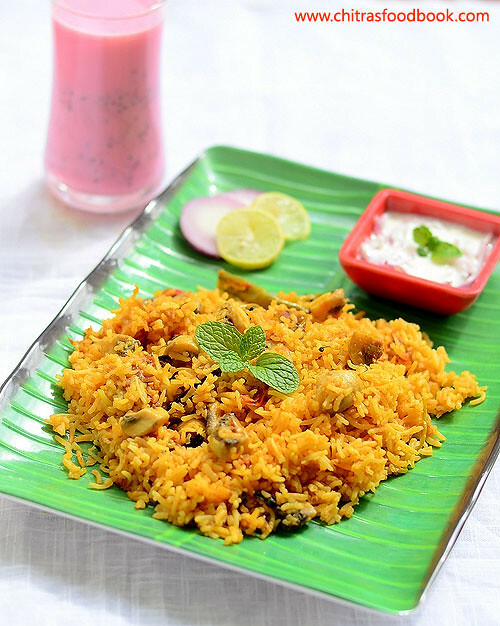 When I started this series,I had no clue of how I am going to try varieties of biryani being a pure vegetarian.But God had helped me giving delicious recipes through websites,cookbooks and my friends. And now I am the proud owner of 40+ veg biryani recipes .I can confidently make biryani for my guests & family.At this time,I would like to thank all my readers & silent readers who have given me continuous support and encouragement by sharing the feedback of my biryani recipes via e-mails with tried & tasted pictures .Even though I couldn’t post the recipes on time due to personal works,there were few readers who wait for my post and tried it instantly.Thanks for all your patience.This series have got me so many new readers,friends and some cute sisters(Dhivya,Dharini,Kavitha,Sindhuja…) . Thanks a ton buddies. 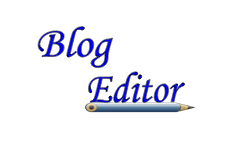 But for you all,this series would not have come so far & become a hit.In the New Year 2016,I will come up with another interesting series.Stay tuned !! Wash and soak Basmati rice for at least 30 minutes.In the mean time,wash and clean the mushrooms if using.Chop into cubes.If you use soya chunks,boil 2 cups of water and soak the chunks.It will bulge in size.Squeeze & set aside.Chop the onions into slices,tomatoes into pieces & slit the green chillies. Boil 5 cups of water.When it roll boils,add the soaked & drained rice.Add salt,a tsp of oil and squeeze half of lemon.Simmer the flame & add the soaked,drained rice.Let it boil in high flame for few minutes.Stir once or twice in between without breaking the rice.Let it cook in water till its 80% done. Now switch off the flame and strain the rice in a colander.Collect the rice cooked water in a bowl.We are going to use this hot cooked water( Kanji) for putting DUM.So don’t throw it.Now take a tbsp of rice cooked water and mix the food color.Set aside.Let the rice be in colander till the gravy gets ready. Heat a kadai adding oil + ghee. Saute cinnamon,cloves,cardamom,bay leaf & black stone flower.Now add the onion slices and saute until its transparent.Keep the flame low and Cover it with a lid.Let the onions turn crispy and golden brown.This is the key point for this biryani. Grind ginger & garlic adding required water and add it to the onion mixture. Saute until its raw smell vanishes.Do this in low flame.Cover it with a lid for sometime. 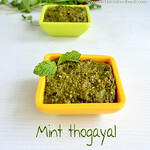 Then add the mint+coriander leaves.Mix well and add tomatoes ,green chillies.Saute until mushy.Cover with a lid. Once it turns mushy,add turmeric powder & red chilli powder.Mix well for few minutes and let the mixture become a paste.Add the mushroom pieces OR Squeezed soya chunks pieces.Saute well for a minute. Add 1/2 cup of water and cook the mushrooms/Soya chunks.Cover with a lid and let it boil for 2-3 minutes in high flame. Add 1 tsp of curd and cover cook for sometime.Oil will float on top.This is the sign for a perfectly cooked gravy.So wait till that point.Now gravy is ready. Let the gravy be in the kadai.Make sure there is some moisture content in the gravy so that it doesn’t get burnt.Now spread the 3/4th cooked basmati rice over the gravy and cover it. 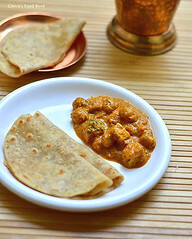 Heat a dosa tawa( Any old non-stick or iron tawa) till its fuming point. Reduce the flame to low completely and place the kadai over the dosa tawa.Make sure kadai is closed tightly.Place the strained rice cooked hot water(Kanji)over the lid.Put under DUM for 5 minutes. 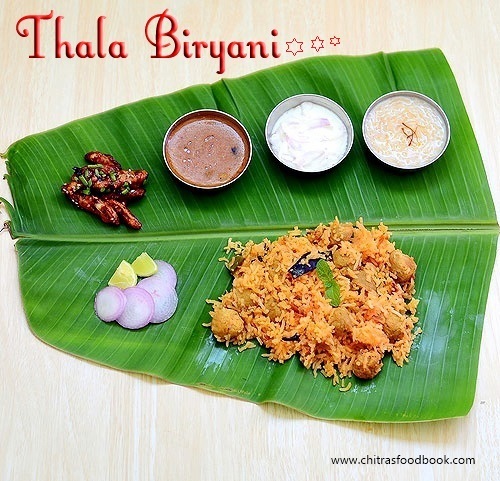 Then open the lid and sprinkle food color,add a tbsp of ghee over the rice.Mix it gently with a ladle from top to bottom without breaking the rice.Again close it and keep for 10 minutes.That’s it.Delicious and yummy Thala biryani is ready to serve !! 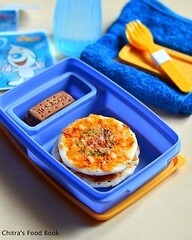 Enjoy with raita & Kurma ! Keep in mind,you should use freshly ground ginger,garlic paste for best taste. Flame should be low when u saute sliced onions & other masala.Don’t forget to cover the kadai after u saute the masala every time.Onion should become golden brown.This point was highlighted in the recipe. 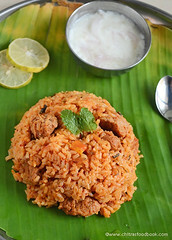 If properly done,this is one of the best biryani with simple ingredients. 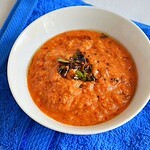 For variations,you can add 1/2 tsp of garam masala or biryani masala powder. 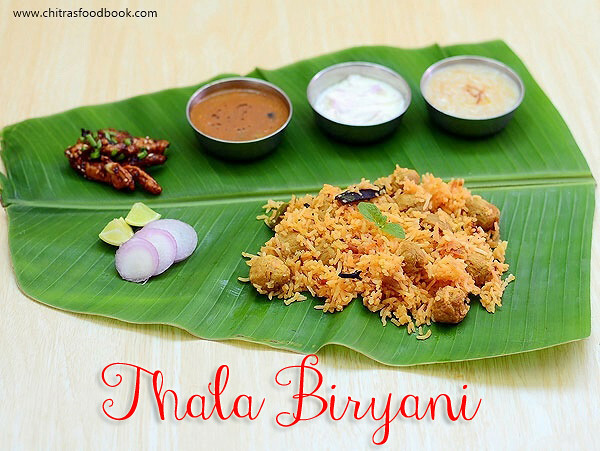 I served Thala Biryani with Onion Raita,Plain salna,Chilli potato and Vermicelli/Semiya payasam.We had a delectable lunch !! 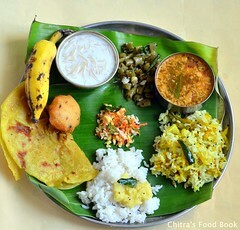 Thats an awesome version of veg biryani Chitra!! 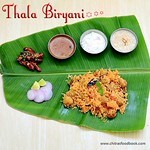 Thanks for mentioning about me :) Congrats for completing over 40+ biryani recipes!! Great!! 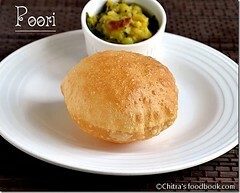 Thank u so much for sharing the recipe page.Its a great help from you :) Many thanks dear ! 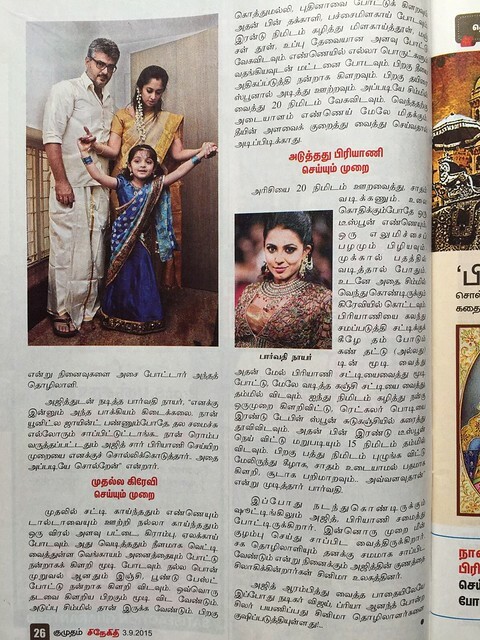 Congrats sister,for u biriyani series. I tried most of ur Briyani recipes,And my favourite is Ambur saiva Briyani and kofta Briyani.everytime I came out perfectly,before I was confused every Sunday,wat kind of Briyani cook for hubby(he's vegetrian),ur Briyani series are my lifesavour.thanx for sharing recipe. 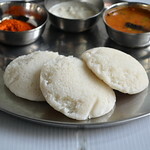 Hai chitra, I follow your recepies. I always include two vegetables daily.. 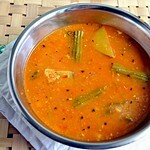 But sometimes i m confused which sambar will suit which poriyal..I and viewers like me would be happy if you share few items of sambar and its apt poriyal recepies like murungai kai sambar with carrot beans poriyal. Thanks for reading..